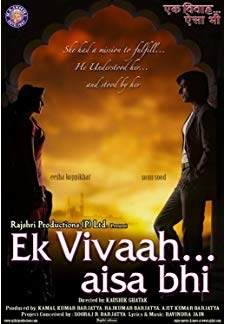 © 2018 Scratchu.com Ek Vivaah Aisa Bhi | Isha Koppikar, Sonu Sood, Anand Abhyankar, Daman Baggan, Akshay Bhatiya, Jaya Bhattacharya, Amrit Kaur Chawla, Anang Desai, Master Mit Gandhi, Prashantt Guptha, Smita Jaykar, Master Aayush Kapssey, Mushtaq Khan, Kunal Kumar, Vishal Malhotra - Ek Vivaah Aisa Bhi (2008) | Hindi Movie | 5.4/10 | Synopsis : Bhopal-based statuesque singing beauty, Chandni Shrivastava, falls in love with wealthy fellow-singer, Prem Ajmera. 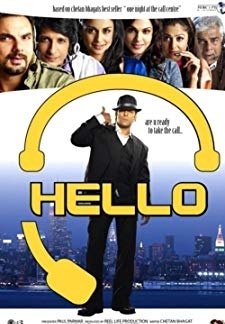 Her widowed dad, Bhushan, and his widowed mother both approve and they ... ... Watch Online!! !